As the person in charge of seeing to the sale of your families personal property, you have to find a positive answer to the question, Should I have an Estate Sale or an Auction? When you have been given the responsibility of selling the personal property of a loved one who has recently passed, you may be wondering what in the world you should do next. Now you are faced with multiple options. The most popular of these, is to have an estate sale or send items to auction. Which is best depends on your situation. How are you to know which of these choices is the right one for you and your family? Let’s delve into the differences between the two, so that you can make the best decision. Estate Sales are a very useful sales strategy, they allow shoppers to come into the home and pick out items that have already been priced for purchase. Often bids are accepted so that the professional holding the estate sale can make as much profit for the estate as possible. If you decide that an estate sale is the right choice for you, you will likely want to hire a professional estate sales operator. You can do this by simply searching online for “Estate Liquidator” or “Estate Sales” in your city or town. The entire sale takes place in one central location. You don’t have to pay any moving charges. Every item can be individually priced. You get the help of professionals. Commissions are competitive and reasonable. Sales take place over two or three days so more buyers attend. 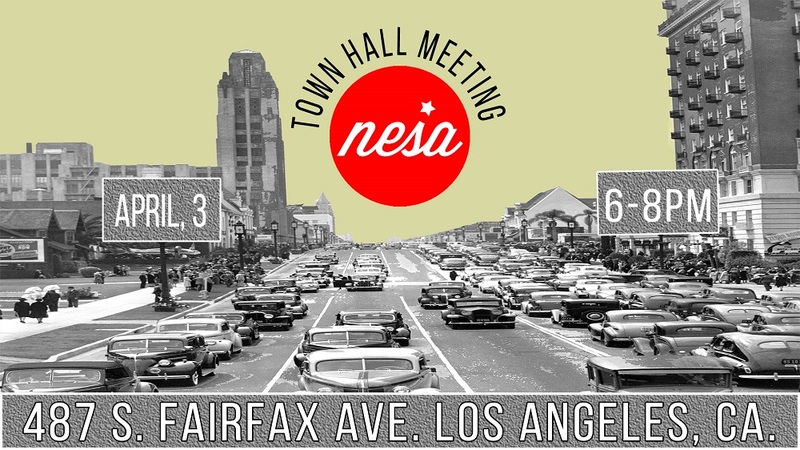 Newspapers ads, emails, and street signs equal better advertising. Most estate sale companies settle with their clients within 2 weeks. 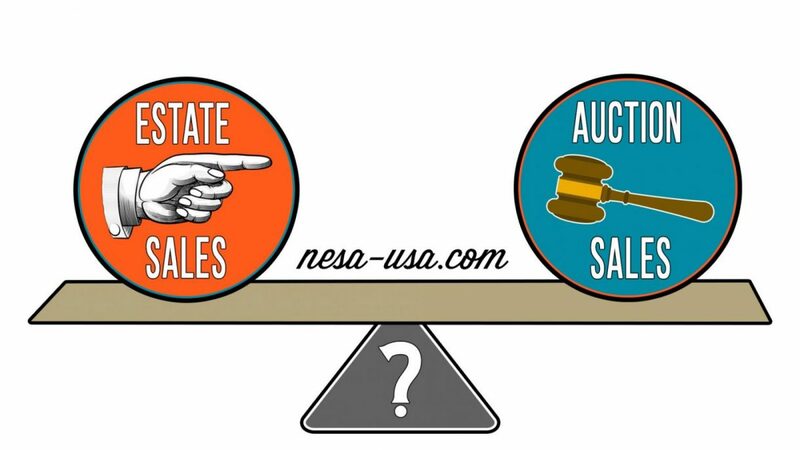 Most people are familiar with the way auctions work. Your items are presented to buyers at a set time and place, and sell to whoever in the crowd is the highest bidder. The smaller the crowd, the fewer the bids. Some auction houses sell your items without reserves, while others allow for them. A well established auction house has the sales advantage when it comes to million dollar paintings, but they are not necessarily the best place to sell your more modestly valued items. Getting your items to an auction house will generate moving expences. 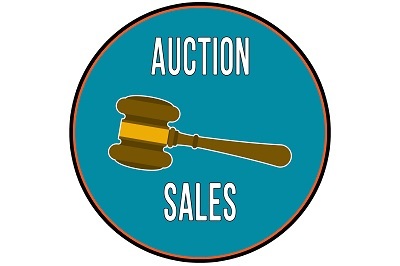 Small and Mid Size Auctions have similar commissions structures as Estate Sales Pros. Auctions are generally one day events. Your item may not sell. Auction sales cycles can take months. Payments are made up to 45 business business days post sale assuming there are no changes of heart. It is our experience that those who represent the best interest of an estate will want to carefully evaluate what they have, the goals of the estate and determine which sales option best meets their estates objectives.